Due in large to the development of the English program we are looking for the following positions in the next academic year for Native English Speakers, to be able to start in May 2019. 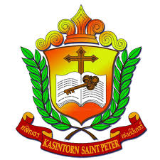 Kasintorn St. Peter School is a progressive school that offers both English Program and Intensive English Program. We currently provide education for around 4,000 students from the local and surrounding areas. As a school we pride ourselves at placing our learners at the centre of the education process and have a strong team of dedicated teachers taking care of our students on a daily basis. The school is based in Bang Yai, Nonthaburi which is around 20 km outside of Bangkok. However the local area has seen much development recently and commuting into Bangkok is now very convenient with the establishment of the new Purple line MRT. In addition, the local areas has shopping malls restaurants, cinemas and various other places for teachers to spend their weekends and free time. If living that far from the city is a concern then we also provide free vans to and from the school from areas such as Rattanatibeth.